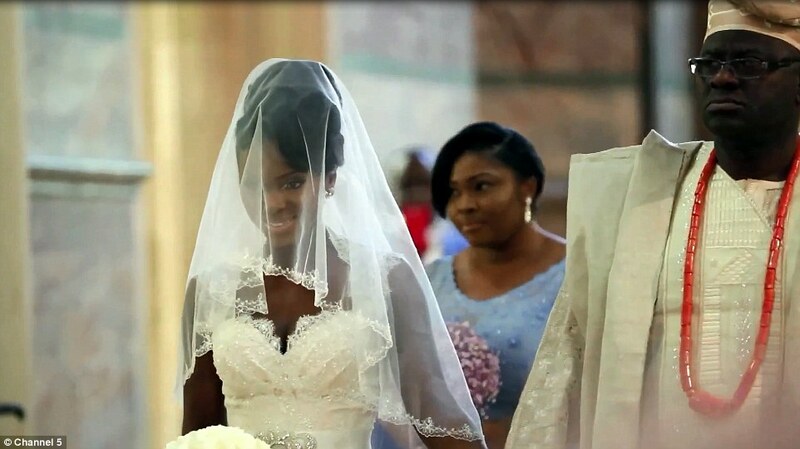 Nigerian Luxury Wedding – Channel 5 today showed a new eye opening documentary series with TV sweetheart married presenting couple Eamonn Holmes and Ruth Langsford – With the aptly named show ‘Eamonn & Ruth: How The Other Half Live ’. Today we were able to see inside the wedding planning of a super rich Nigerian Bride to be. They live in multi- million mansions; they drive the most expensive fast cars ever designed; and they have a life most of us can only wish for . They’re the world’s multi-millionaires and billionaires. They are the super-rich – sometimes with tastes as excessive as their incomes, and often with money to waste and buy anything they imagine. So, it is only wise to ask how this super rich group choose to spend their- and if you had even half their money, how would you spend your wealth ? This week saw Eamonn and Ruth meet with this super rich Nigerian bride to be and it is clear that London is a wedding destination of choice for wealthy Nigerians, with brides competing for most expensive do. Bespoke designer gowns can cost £100,000 and up to 3,000 people will attend the big day. This is not a difficult feat as bridal gowns designed by the most famous designers can cost a princely sum. It is clear to see how on an average Nigerian wedding can easily top £1m and with a mere£150,000 easily been spent on just the alcohol and drinks. The food and drink lavished on the guests also has to be the very best and with no end to the surplus supplies. Usually at other ‘normal’ UK weddings, attendees may get a small favour like a chocolate or a bottle opener, at these super rich Nigerian weddings, they will normally receive a gift bag worth a few thousands of pounds. Such a bag might contain a £345 perfume, a cashmere scarf worth £350 and a £5,000 watch. With such luxuries being given out at weddings, it is perhaps no surprise that according to Tatler, every third pound currently spent in Harrods is by a Nigerian. Nigeria is Africa’s largest economy as the Niger Delta region in the south holds some of the world’s richest oil reserves. A recent world wealth study found the number of millionaires in Nigeria has risen sharply about 305 percent since 2000 which is nor surprise they can spend such a vast amount on simply getting married. Many of super rich Nigerians are now moving to London to live, do their business and buy outstanding super affluent properties – helping London become home to the most billionaires than any other city in the world. With Wedding Planners coming out of the woodworks, it is best that these brides chose carefully when they need to source as good a brilliant wedding planner who is used to working with the stars. We at www.designerweddingplanner.com are a company who are experienced in working with celebrities and those who are disecerning in what they reuire for their special day, and we work with all those who require our special expertise in geting their Nigerian Wedding ‘to the stars and back’. Contact us for further details and support – we are looking forward to working with you. me (jane)playing wedding dress-tae yang.nicole being dumb in the background.jennifer waz hurr!! !